It’s all here. Requirements definition, elaboration, and approval. Value is lost and gained in the requirements. ImpelX gives you complete control of the process with the ability to capture individual requirements with ease, ability to add as much color as desired, and elicit feedback and approvals on each requirement. Accelerate the project lifecycle by moving individual or group of requirements and activities when ready instead of waiting for all to be defined. Have access to the full story pertaining to the requirements that are normally captured in email or meetings. Turn relevant issues into requirements if you want to. It’s built in. Submit one, some, or all requirements through an engaging and measurable approval process. 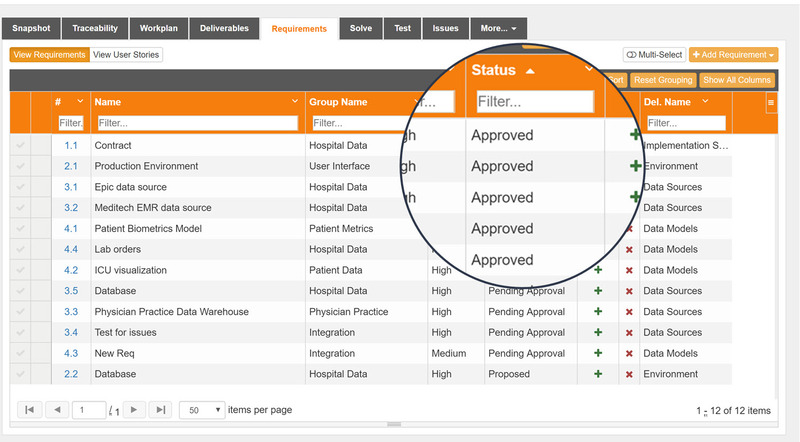 At a single requirement or approver level, you can see who has responded and who hasn’t, track and respond to questions during the approval process, and separate distinct groups of approvers for multiple levels of approvals.